During my research about ecosystem services I discovered the fascination of mushrooms: they can glow in the dark, control the brains of insects, smell like carrion or gingerbread, and have produced the largest organism on earth. 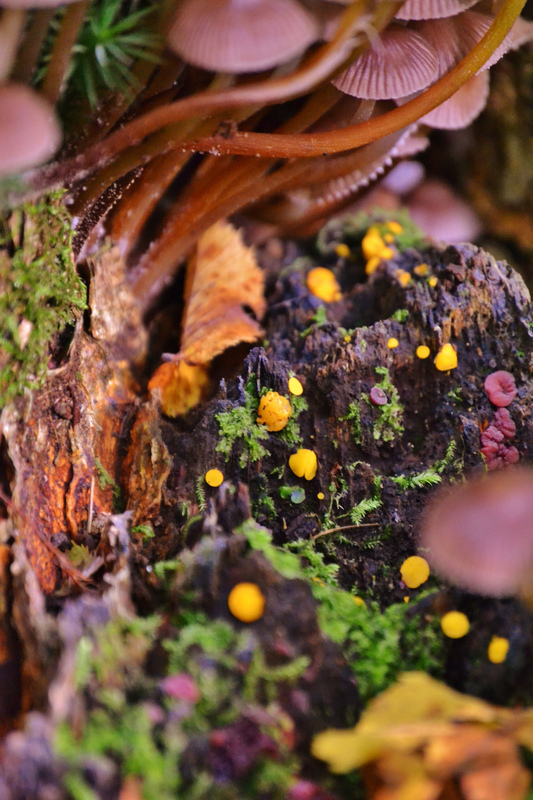 In the picture, at least three different mushroom species are colonizing dead wood in a forest in Germany, an area which is usually not entered by visitors. At first glimpse, I thought it was a coral reef located in the Red Sea. But no, just mushrooms.